“Exemptions” are created by the state of Missouri so that you can keep your property (real or personal) safe!! 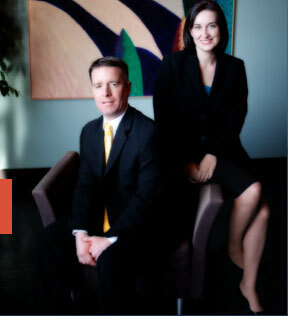 A good St Louis bankruptcy attorney is going to know exactly how to use them so that you won’t have to worry about losing anything when you file (which is exactly why someone shouldn’t file a bankruptcy by themselves; unless you have an expert level understanding of how MO state exemptions work, and when they can be applied, then you could easily run the risk of your assets being taken from you). After the exemptions are properly taken so as to protect your stuff, it will be okay to file your case. However, there are some occasions in which a person filing a bankruptcy has an asset that simply cannot be fully exempted. Let’s say for example that you have a piece of real estate that has over $50,000 of equity in it. There is no way that that asset can be fully exempted (i.e. kept protected from the Trustee). If you were to file a Ch7, the Trustee would absolutely want to take the house, sell it, and use the proceeds to pay towards your unsecured creditors (the very creditors that you wish to have discharged in your bankruptcy, such as credit cards, medical bills, payday loans, etc.). In that type of situation, you will have to make a really big decision about what to do!! If you do file the Ch7, there might be a chance to work out a deal with the Trustee (so that you can “buy out” the equity in the house, and keep the asset). But more than likely, you would want to file a St Louis Chapter 13 (which will keep all assets safe, regardless of the number of assets you have). Of course the best way in which to learn your options and rights is to make an appointment to come see us! !